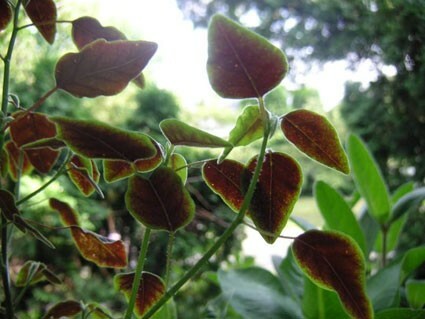 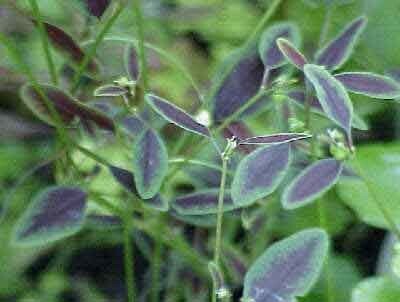 "Flameleaf Spurge" Multitudes of slender stems flutter with rounded diamond-shaped leaves of dusky violet fading to emerald green edges. 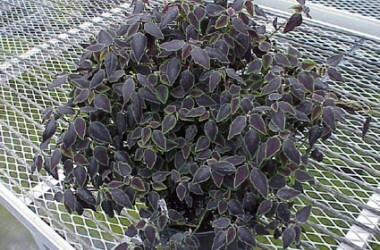 While of delicate appearance, actually a very easy-to-grow houseplant, marvelous under lights. 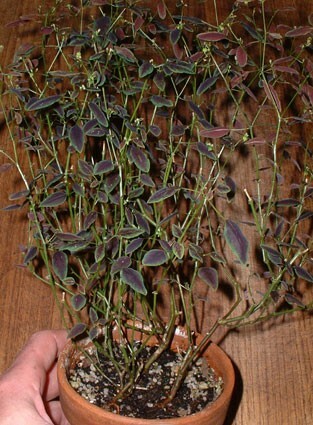 Amazon native. 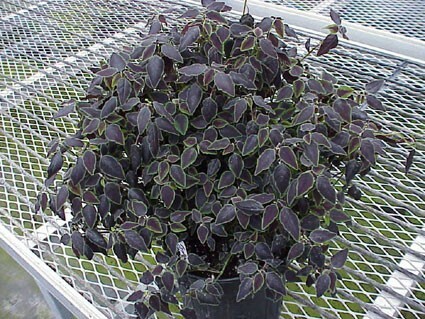 Absolutely excellent when added to outdoor summer urns, windowboxes and even to Hosta beds as the dusky purple small featured foliage makes any companion plant more special--especially successful when paired with Euphorbia 'Diamond Dust'.